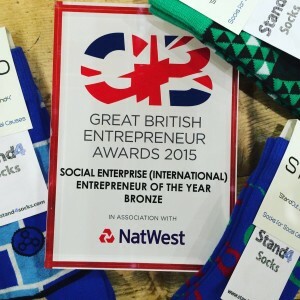 SSE East student Josh Turner, currently on the Lloyds Bank Social Entrepreneurs Start Up Programme, has one an award for a social enterprise he founded; Stand4 Socks. Stand4 won bronze for ‘Social Enterprise of the Year’ at The Great British Entrepreneur Awards 2015. 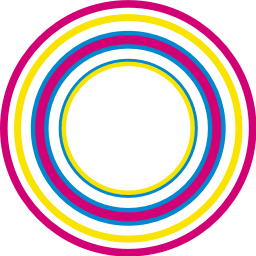 Stand4 socks designs and creates quality colourful socks which help raise both awareness of social causes and have a tangible impact through a ‘buy one, give one’ model. Its vision is to re-engage consumers with charities through everyday products. For Josh, its aim is to give, ‘ordinary purchases, extra-ordinary purpose’. Josh said, “Stand4 is extremely proud to have been won as one of Great Britain’s top social enterprises in 2015, especially as we are only just launched two months ago! I have always loved colourful, eccentric socks, but I am also conscious of the issues some people face in the world today. My start-up was always going to build a social purpose at its core. Congratulations to Josh and Stand4 for the award and the great work they are doing. At 24 it is an amazing achievement and we are confident that Josh, with the help of the SSE Start Up Programme, will continue to create positive social change. We also hope that other young entrepreneurs will be inspired, like Josh, to put their ideas for changing the status quo into practise.